Financial repression—keeping the interest rates on deposits low to subsidize China’s powerful alliance of export industries and governments in the coastal provinces—has been central in pushing investors into real-estate speculation. However, growing uncertainties in that sector have caused many middle-class investors to seek higher returns in the country’s poorly regulated stock market. The unfortunate result: A good many Chinese have lost their fortunes as stock prices fluctuated wildly. As early as 2001, Wu Jinglian, widely regarded as one of the country’s leading reform economists, characterized the corruption-ridden Shanghai and Shenzhen stock exchanges as “worse than a casino” in which investors would inevitably lose money over the long run. When the Shanghai index plunged 40 percent later that summer, Chinese investors were hit with huge losses—debt they still grapple with today. Many lost all their savings—a significant personal tragedy (and a looming national crisis) in a country with such a poorly developed social-security system. Chinese stock markets (now the world’s second-largest, according to The Balance, an online financial journal) stabilized in 2017, and seemed to have recovered the trust of investors when they were struck by contagion from the global sell-off of stocks in February 2018, posting one of their biggest losses since the 2015 collapse. Another source of financial instability is the virtual monopoly on credit access held by export-oriented industries, state-owned enterprises, and the local governments of favored coastal regions. With the demand for credit from other sectors unmet by the official banking sector, the void has been rapidly filled by so-called shadow banks. Is China, in fact, still distant from a Lehman Brothers–style crisis? Interestingly, Sheng and Ng point out that while “China’s shadow banking problem is still manageable…time is of the essence and a comprehensive policy package is urgently needed to preempt any escalation of shadow banking NPLs [nonperforming loans], which could have contagion effects.” Beijing is now cracking down on the shadow banks, but these are elusive entities. Finance is the Achilles’ heel of the Chinese economy. The negative synergy between an overheating real-estate sector, a volatile stock market, and an uncontrolled shadow-banking system could well be the cause of the next big crisis to hit the global economy, rivaling the severity of the Asian financial crisis of 1997–98 and the global financial implosion of 2008–09. Rather than gearing up for a military face-off in the South China Sea or engaging in a trade war with Beijing (which no one will win), the United States and its allies might be better advised to prepare for the threat that China’s economic weakness poses to the US economy and, indeed, the world’s. Global financial reform—a task urgently needed (but never undertaken) after the 2008 financial crisis—is one area where cooperation would immeasurably benefit China, the United States, and the rest of the planet. The loss of $5.2 trillion during this February’s global financial meltdown has highlighted the necessity of putting stronger restrictions on the global movement of speculative capital before it spawns a bigger crisis in the real economy. The regulation of dangerous real-estate-backed securities and derivatives—the same types of instruments that triggered the 2008 financial crisis, and which are now making their appearance in Asian markets—should be a top priority. When it comes to trade, there are far better strategies than a trade war to deal with Beijing. It is true that the export of jobs to China by US corporations, supported by free-trade and globalization enthusiasts in government, has been a major cause of the deindustrialization of significant parts of the United States, but the solutions lie in building bridges, not walls. First, we need formal or informal trade agreements to limit select industrial exports to the United States, much like the Reagan-era arrangements with Japan to limit automobile exports bought time for the US car industry to retool and recover. Second, we need an industrial policy, drawing from the current playbook of Germany and China, in which an activist state channels private and public investment and promotes job creation in cutting-edge industries, such as renewable-energy-based infrastructure and transportation. None of this is as simple—or as foolish—as a military face-off near the Chinese coast. Too often, for America’s national-security managers, the US military is a hammer, and every problem looks like a nail. 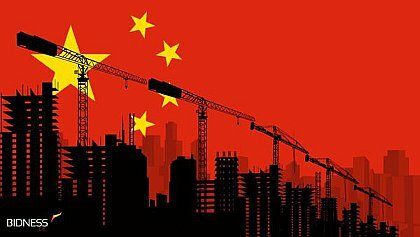 But as US officials begin to address the rise of Chinese power, they would do far better to understand the stake that the United States and the rest of the world now have in a healthy Chinese economy, and worry more about avoiding its economic implosion than about planning for a military explosion. Walden Bello is the international adjunct professor in sociology at the State University of New York at Binghamton and the author of 21 books, including the soon-to-be-published The Fall of China: Preventing the Next Crash. Reprinted, with permission, from The Nation.